The stars must definitely be aligning because there’s a distinct element of the kitchen about some of my posts lately – perhaps we’re inching ever closer to plans for our dream extension and I’ll finally be able to create my perfect culinary masterpieces in our new spacious kitchen. Or something like that! For now I’ll have to be content with finding inspiration out and about. Earlier this year I was fortunate enough to attend the launch of the latest generation of the iconic Kenwood kMix collection. 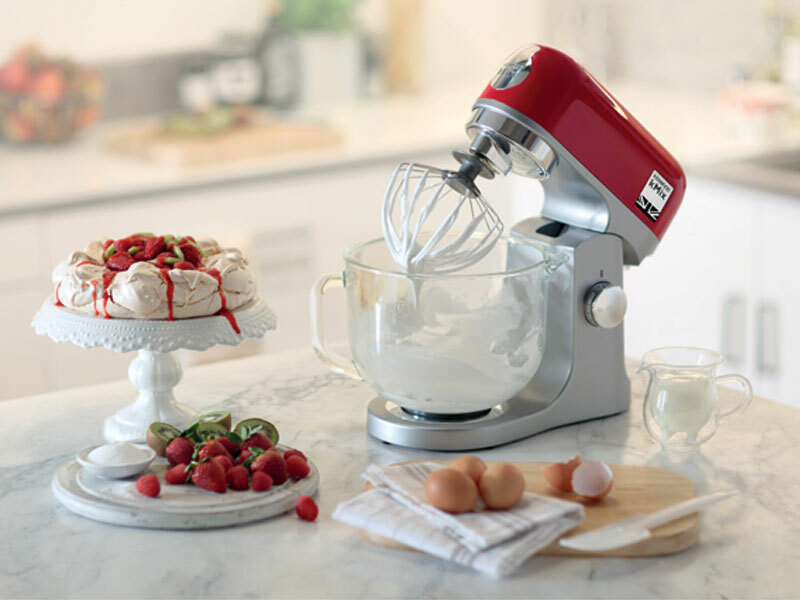 To celebrate the famous brand’s 70th birthday, the range which includes the Stand Mixer, Hand Blender, Blender, Hand Mixer, Kettle and Toaster has had a modern makeover and is now available for purchase in four chic colours – Spicy Red, Rich Black, Cool White and Fresh Cream. Our venue for the morning was the suitably plush Divertimenti Cookery School located in London’s Knightsbridge – what a treat it would be to have that on my doorstep but alas it’s many years now since I was a short walk from this exclusive part of London. We saw all of the revamped products in a range of the new colours and were talked through the design features and what makes this collection different from previous. 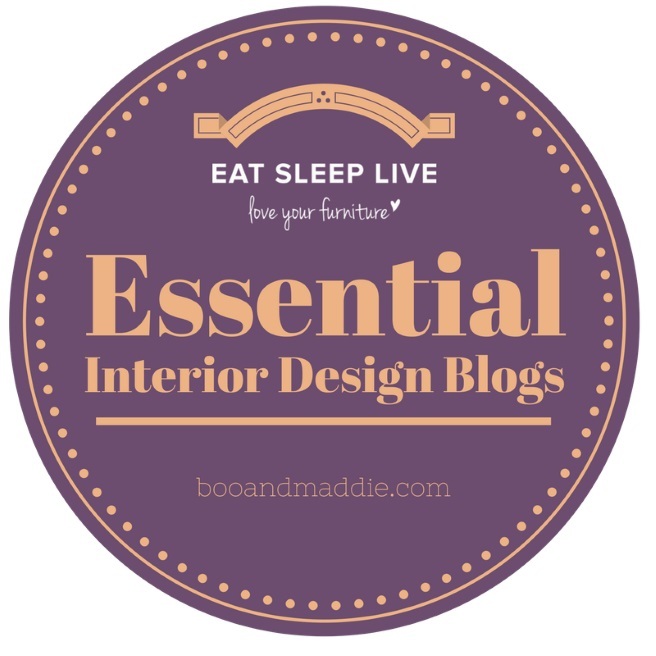 ‘To ensure we achieve long-lasting appeal we have closely monitored trends in interiors, design and colour, which has resulted in this new stylish design and rich colour palette offering. 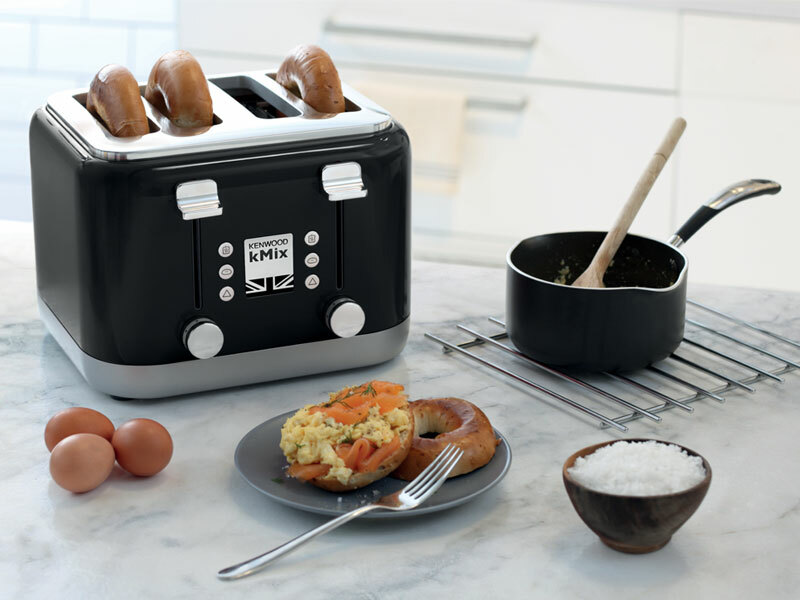 This design evolution embraces cutting edge performance ensuring the kMix collection allows food lovers to feed their creativity’. It’s incredible to try and appreciate what one piece of equipment is capable of. In the case of the Stand Mixer, it now boasts a 1000W motor and larger 5l glass bowl. 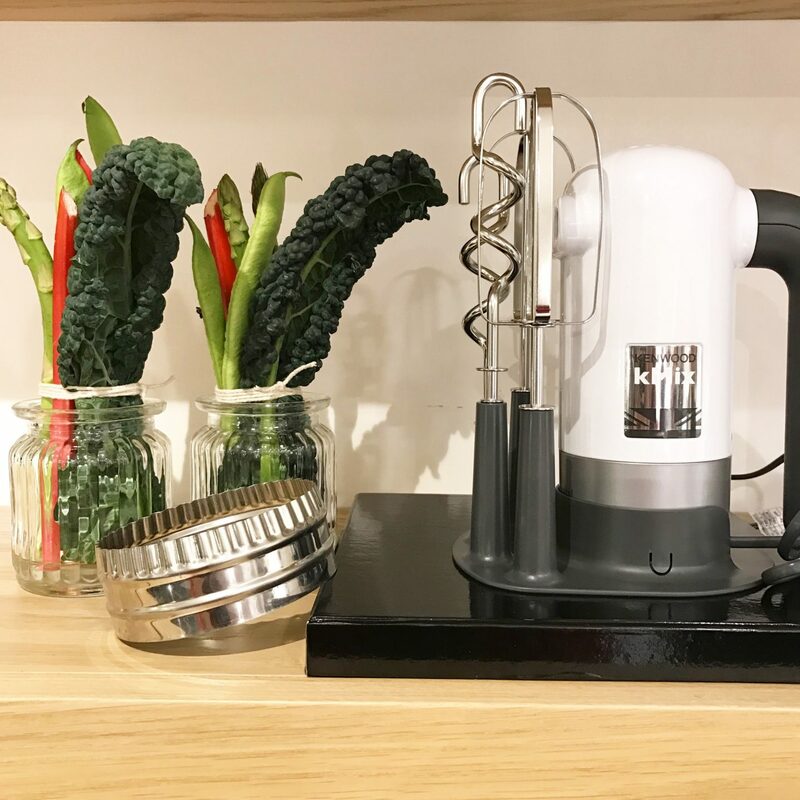 With 20 additional attachments available, it’s possible to create your own variety of pasta and add your personal flavours to homemade meatballs, as well as creating flavoured breads, stylish cakes and enticing Pavlovas with ease. I’d be interested to put one to the test and see if it can give me some extra kitchen prowess, it would certainly come in handy! Thankfully I wasn’t called upon to demonstrate my lack of baking skills but we were treated to a demonstration from internet cookery show SORTEDfood. As part of the relaunch, Kenwood has been taking part in a global recipe swap initiative, reinventing national dishes and Ben Ebbrell used the kMix collection to show how the traditional Russian Honey Cake could be given a British twist. I’ve now got a rather impressive Christmas list building up of some stylish new devices but if you want to make a purchase from the Kenwood kMix collection, it’s available here. Thank you so much to Kenwood for inviting me to the range relaunch. All words and images are either my own or those of Kenwood. Ooh that’s one impressive K Mix stand mixer. I love all of the extra features, especially pasta making. Great post.